At TSA we are powered by people, our most important asset. For more than 30 years and through working with thousands of hotel partners in more than 50 countries to improve their performance, we know that hiring, developing and inspiring talented teams drives successful outcomes for our customers. SO TAKE A LOOK AT OUR OPEN ROLES AND APPLY TODAY! We are looking for a passionate and experienced Customer Success Director who can translate strategy into action, execute plans brilliantly, and are the ‘go-to’ person for their function and subject matter expertise. Joining our team means collaborating with people that aren’t just passionate about their work, but about everything - you name it. Because if you’re going to redefine the status quo, you need a group of people hungry to do more, to see more, and be more than where they started. There is no idea too crazy, no task too small — we work together to make things happen. 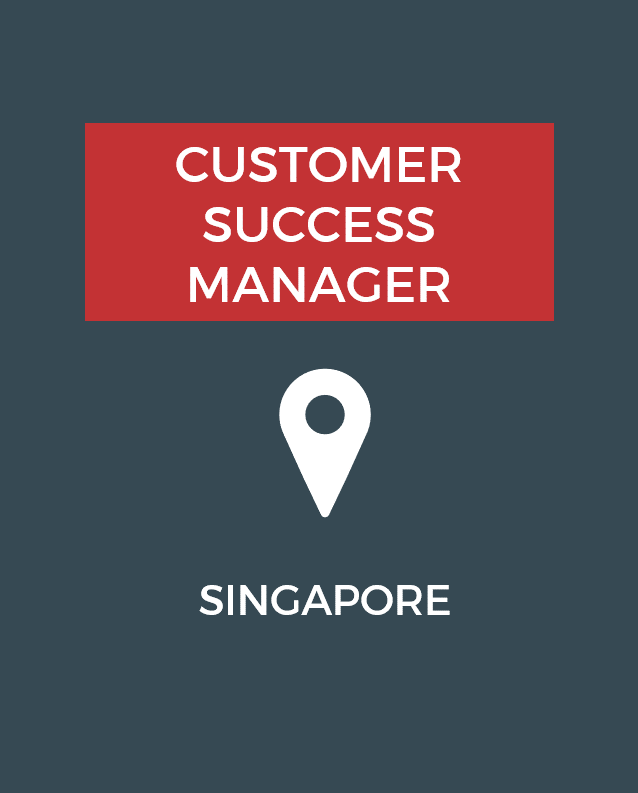 We’re looking for a Customer Success Director to lead our Customer Success Function. Customer Success is at the pinnacle of TSA’s key objectives and we are seeking a strong leader to further enable our customer success team in both their daily and strategic endeavours. Reporting to the COO, the ideal candidate will be a hands-on strategic leader for the team as well as a strong voice at the executive level, representing the needs, issues and future direction for the team. Your contribution will be critical for the successful execution of TSA’s global expansion strategy by delivering world class shared services to ensure our Clients performance and long-term growth & success. The Customer Success Director will set the tone & culture for our Customer Success Function and must bring life to our values while delivering against our goals. Ultimately delivering a best in class customer engagement, support and service. Operationally build and lead the Customer Success function: systems, processes and procedures. Ensure that the entire customer success function runs smoothly - strong handle on support team performance, materials/resources, multi-location productivity - basically, all the things that make the org tick and function as a cohesive unit. Facilitate regular strategic planning sessions with internal teams to communicate customer support issues, general support findings and improvements in procedures. Lead the development, implementation and evaluation of strategic, tactical and operational customer success plans, programs, and initiatives. Advise the Senior Executives on customer success measures, strategies, programs, initiatives and emerging issues to enable customer-centric strategic decision processes and major or critical issues response. Lead and/or direct specific customer research programs, dialogue and other forms of engagement to understand key concerns and issues and inform review and enhancement of customer services models. Champion our ambition to build world class customer success function. Supporting a team of Customer Success Managers to deliver industry leading customer service, by creating a culture of highly engaged colleagues where people are passionate about serving and delighting customers. Support on global empowerment and building the customer success team as we rapidly scale. Drive the ongoing development of a customer service culture across the organization, supported by effective policy and process frameworks and responsive customer service systems to embed best practice customer-centric behaviors. Identify opportunities for enhanced service delivery through online and e-services delivery, and the application of social media, mobile apps and technologies to optimize customer experience. Follow our Business Code of Conduct and always act with integrity and due diligence. Must possess a deep understanding of CRM systems: e.g. Salesforce Service Cloud, Zendesk, Jira, (Wrike experience is preferred) and best-of-breed Customer Support processes and best practices. Ideal candidate will be able to direct implementations of new systems and team training on proper system workflows, procedures and usage. Experience developing Service and Support S.O.Ps. We are looking for passionate, driven and seasoned Consultants with a background in Hospitality or/and in Consultancy to join our Consulting Practice. The sheer scale of our capabilities and client engagements and the way we collaborate, operate and deliver value, provides an unparalleled opportunity to grow and advance. 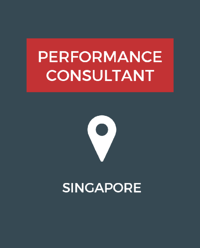 As a Performance Consultant, you will be focused on both business and human performance and provide effective advisory support to our partners in order to enable them to maximize the revenue performance for their businesses thereby enhancing TSA’s revenues and achieving/exceeding its Operating Profit. apply your industry knowledge, business and operational excellence skills to help clients navigate shifting market demands, optimize their business and leverage their talent. Tasked with analyzing current results, presenting findings and creating solutions to direct the hotels towards reaching their goals across a broad set of agendas. Work remotely and collaborate with clients to envision, design and deliver innovative solutions to create business value for our partners. Provide strategic leadership to the Hotel’s functions to drive and deliver high performing solutions focused on continuous improvement and innovation across our people, systems and processes. Achieve performance objectives by ensuring effective processes are in place and drive continuous improvement by proactively monitoring operational performance. Report on key performance indicators across relevant metrics for the hotel. Engage with the hotel partner, framing business questions, developing innovative solutions, analyzing study findings, and interpreting results in terms of impact to the partner’s ability to perform better financially. Analyze key metrics to develop and implement solutions for the hotel. Create reports and key insights based on analysis of hotel performance and hotel ROI. Develop, maintain and own the relationship with the clients. Develop new business opportunities to Sales or Account Director through the proactive identification of follow-on work within the hotel partner, as well as in new leads. Provide opportunities for business development and strategic level consulting with clients. Lead the client’s conceptual direction and direct all brainstorming and strategic discussions. Proactively mentor, coach and share subject matter expertise with the hotel partner to elevate our capabilities in delivering world-class solutions. Proactively continue to strengthen subject matter expertise through on the job experience, participation in conferences and other forums for professional knowledge sharing. Develop project plan with timelines and deliverables and lead projects to successful completion on-time and within budget, from implementation to completion. Document requirements, develop the methodology and work collaboratively with the team in designing analytical reports, gathering data, and identifying insights and recommending solutions. Provide follow-up with clients after project deliverable has been completed to ensure client satisfaction. Work cross functionally within TSA to leverage TSA expertise in the design, development and delivery of client solutions. We are looking for a passionate and experienced Customer Success Manager, who can translate business plans into action, execute customer programs brilliantly, and are the ‘go-to’ person for their function in the Regions they represent. The high level of interaction with clients, employees and management along with the variety of skills required make being a service delivery manager a fit if you're an outgoing problem solver with customer service and management experience. Customer Success managers focus on maintaining great relationships with clients and improving the company's services to keep them satisfied. The successful professional will have both technical and administrative roles where they help understand and often resolve customers hotel operating environment, identify system/staff or technical problems, manage team performance, track project plans and resources and manage the quality and consistency of service delivery and program implementation. 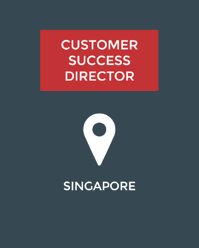 Our customer success manager's role focuses on keeping clients satisfied with the company's services through managing projects, fixing any reliability issues, tracking service metrics, managing project resource and budgets and helping lead the professionals responsible for getting services delivered to clients. Duties can vary, based on the Customer and programs we offer. For example, the role requires analyzing a property or portfolio of properties and conducting health checks on our customers systems and services adoption and utilization, identifying best practices as well as areas of risk or poor performance. The role and responsibility also includes troubleshooting system or technical issues, ensuring that service agreements get met and assisting the Account/Sales teams with any service extension or renewal issues. Your contribution will be critical for the successful execution of the company global expansion strategy by delivering a world class shared services model to ensure our clients performance and long-term growth and success. TSA are always looking for talented candidates to join our growing team. If you don't see a role that is the right fit for you now, why not send us your CV and we'll keep you in mind for future requirements?